Helping Hands Healing Ministries, Inc. | Bringing hope and healing to the ends of the earth. 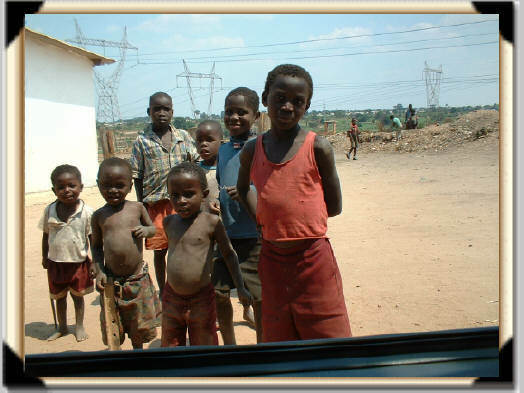 Welcome to Helping Hands Healing Ministries, Inc., a 501(c)(3) nonprofit charity serving the financial, educational, medical, and spiritual needs of the poorest of the poor in developing countries. We are a volunteer-run organization which keeps our overhead low so that donated funds are available to use for selected projects. As a result of our recent participation in a medical mission in Haiti, we also now provide disaster relief and recovery as part of our mission of poverty alleviation. We welcome you to our site and invite your participation in this work of love to our brothers and sisters around the world. I wanna use this media to thank you for your kind hearted good work, and I pray to the Almighty God to keep on supplying all that you needed to continue His good job that He has commission you on, in Jesus Christ name we pray amen. Many thanks for your prayers! Isn’t it amazing how happy the poeple in Africa are even though they have so much less in material ways? They understand what true joy is. Thanks for sharing their beautiful, smiling faces! Hello Asaha. We minister in countries based suggestions from our Board of Directors. We do not accept unsolicited requests for assistance or partnerships. We have not worked in Nigeria in the past and do not have any current plans in this country. At this time we are working in Haiti. As per our web site polices stated at https://helpinghandshealingministries.org/contact-us/: Please be aware that for financial, legal, and security reasons we do not accept unsolicited requests for assistance or partnerships. Additionally, we are an all-volunteer organization and do not accept applications for employment. Many thanks for your understanding. Thank you and may God bless you for the great work you are in Haiti other places. I pray that God will lead you to do similar work in Liberia in the future. Thanks. Thank you and may God bless you for the great work you are doing in Haiti and other places.I pray that God will lead you in the future to do similar work in Liberia. Thanks. Thank you. May God bless you and the people of Liberia. want to know if you can extend your good services to the poor kids in Siawkrom primary school in Ghana. would be glad if you can put a smile on their faces. Currently, we are only in Haiti. Thanks for your kind words. May God bless the work of your hands!